This weekend I was lucky enough to attend the twenty-fifth annual Santa Barbara International Film Festival, which takes place over ten days in February. Now, any excuse to go to Santa Barbara is a good one, but this festival was fun. I could only afford two movies, Kimjongilia and The Desert of Forbidden Art, both documentaries, but both blew me away. Although I am a features man myself, storytelling is key to both the documentary and the feature film. Let’s face it, the best documentaries tell the best stories. And the best stories always come from the best characters. Who can forget the bear-obsessed Tim Treadwell in Herzog’s Grizzly Man, for example? Or President Bush in Fahrenheit 9/11? Impossible. Let’s talk about The Desert of Forbidden Art, which had an immensely interesting story and cast. Igor Savitsky, a disgraced artist at the beginning of the Soviet regime, travels to rural Uzbekistan to start an art museum. He effectively collects and preserves thousands of “forbidden” artworks that would otherwise be destroyed by Stalin. As we learn in the doc, most of the artists met bad ends, whether in the gulag, or extreme poverty, but their work lives on today. This is thanks to Marinika Babanazorova, the current curator, who has valiantly worked under repression and obscurity to preserve and take care of this priceless art. The people of Uzbekistan live under political repression, and it is truly heroic Babanazorova would go to such great lengths to keep the collection together, even saying no to megabucks from Western collectors. Some stand-outs include Nadezhda Borovaya’s pencil sketches smuggled out of the gulag showing the deprivations of camp life. A truly great movie with moving subjects. More people should see it. I will describe the next film briefly. A quick note, I am actually an intern at this film’s production company, so obviously, I already liked this one. 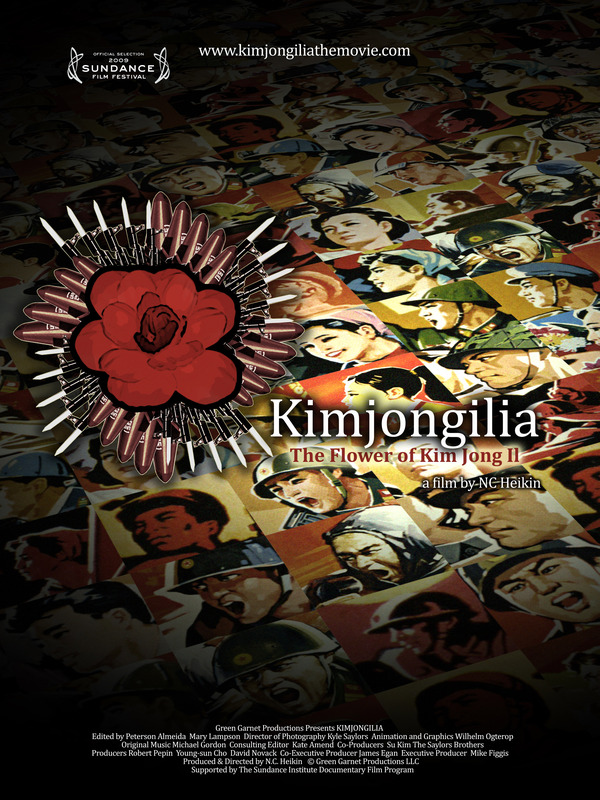 Kimjongilia is a movie that chronicles the horrors of Kim Jong Il’s concentration camps. It is a subject so sickening that it is really hard to watch. Director NC Heiken interviews several defectors (from the camp and North Korea itself) who tell about the horrors on the inside of this walled-in state. Could you imagine being born into a concentration camp? Or purged simply because your grandfather said something against the government? Sent to die because you mistreated a likeness of Kim Jong Il? These things happen every day in North Korea, a country so sick that people who try to escape are almost invariably shot. I was lucky enough to hear a panel discussion with the director, who is continuing her advocacy on behalf of the North Korean people even after finishing the project. So, that was my weekend. Not exactly fun but I saw a good pair of docs. As for other stuff, well, I ran along the beach, and decided Santa Barbara has to be the greatest city on Earth—while my dad was being pelted with snow in Washington, I was enjoying the beach, in February. Who knew such things were possible? glad you are starting to appreciate california. Of the two films, I think I liked Kimjongilia better. Not what you would expect an art history major to say. But I think Desert of Forbidden art was a bit unclear at times, and my thoughts keep wondering back to North Korea after the doc. OK, I’m going to Uzbekistan to see the art museum. Think I’ll skip North Korea on this trip though. Sounds like Cambodia under Khmer Rouge. Upbeat films are a lot easier to watch, but these types of documentaries are really important, and it’s great they were included in the film festival. Whoa, these both sound really good. 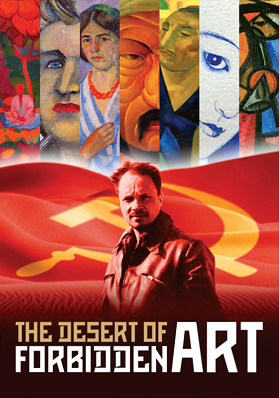 I especially want to see Desert of Forbidden Art. So cool that you got to hit up the film festival! @ Kristan–yes, agreed, Kimjongilia is a difficult movie. What makes it worse is it’s real and there are concentration camps in existence right now. That’s scary. @ ems–Thanks for the comment. I don’t know which I liked more; glad to see both of them. @ W-A-H–Mom, on the frequent flier miles you have, you could probably go anywhere. @ Lauren–Yes, try to see it when it comes to Germany. Don’t know if it’s out on DVD yet.